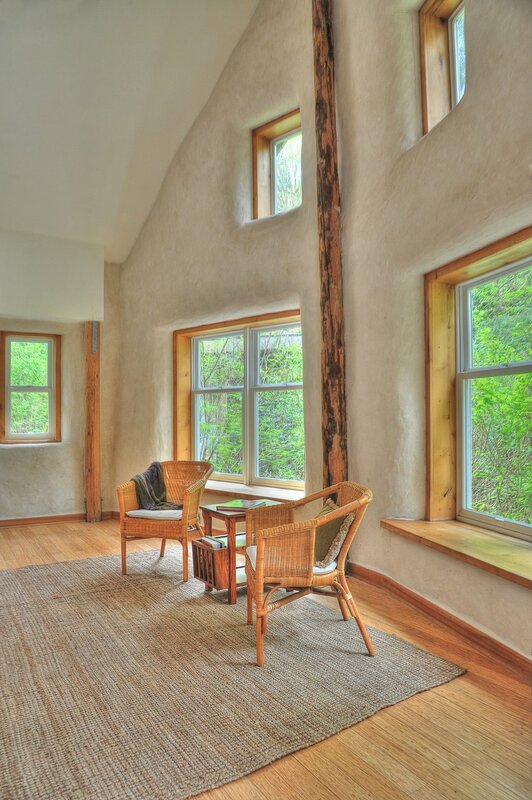 Located on Bainbridge Island, this custom straw bale home is surrounded by beautiful trees. Large windows bring in an abundance of natural light, and several doors connect to decks and porches. The unique curved openings of windows and doors in a straw bale wall are one of the elements that draw people to this construction method, and is highlighted in these images. Extending the theme of curves, exposed posts were left in a natural round form, and vine maple branches harvested on site were used as balcony railings. Reclaimed wood for the floors was locally sourced as well. A 1500 ton rainwater cistern collects rain from the roof and provides all the water for the household. Composting toilets make it possible for a grey water disposal system to handle all the waste water on site. 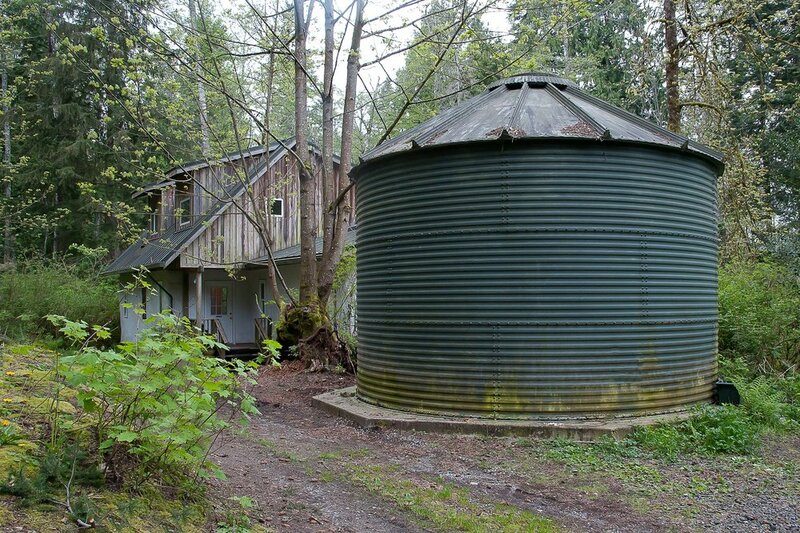 Permitted in 2003, we believe this was the first legal Net Zero Water home in Kitsap County. The owner’s goal was to demonstrate how a sustainable home could be built on a budget, so this little gem was constructed in a series of workshops, some taught by us (straw bale walls) and some by others (rainwater harvesting and earth plaster). The home now serves as a rental, allowing different people to experience living in a straw bale home.